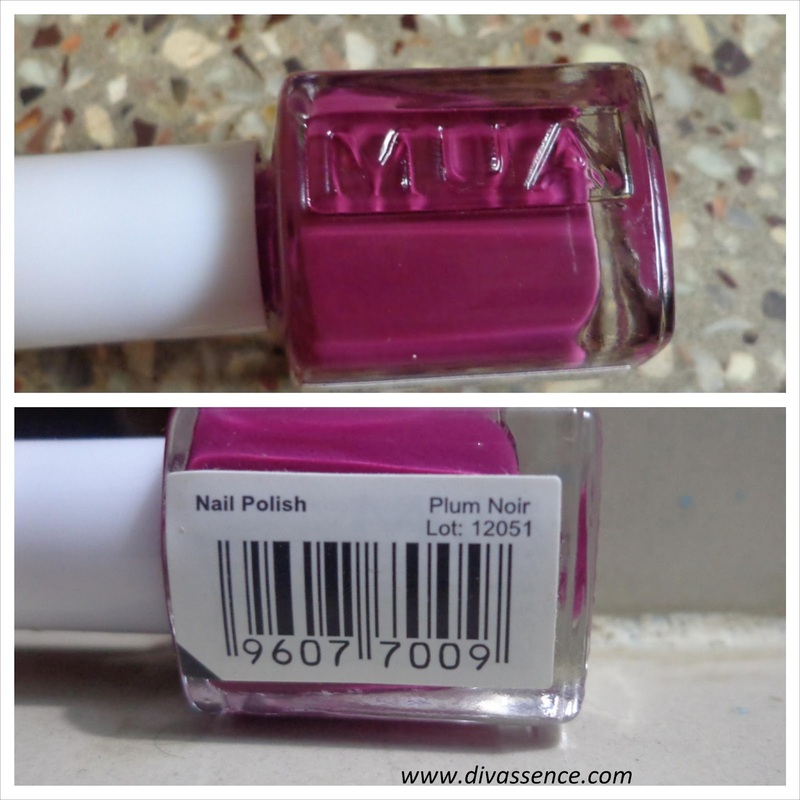 MUA Nail Polish: Plum Noir: Review/NOTD - Divassence! Don’t we all just luurrvvvvveeee presents. This year friendship day was pretty special for me. I received 5 different nail paints from different friends who all knew that I love love love nail stuff. Dee sent me this beauty. So here I present that much-adored, much-loved nail paint. MakeUp Academy Nail paint in the shade “Plum Noir”. I won’t go on and on about MUA as a brand because we all know about their 1GBP products and I am sure we all have at least one product from this brand. Availability: www.muastore.co.uk or Superdrug store if you live in the UK. Plum Noir is a pink based plummish purple color. (Did you get it ??!!! 😛 😉 ) It is just the right color to brighten up your rather dull day. The shade grabs a lot of attention so don’t forget to wear those rings on your fingers. The brush (MUA claims it is a new and improved brush !!! ) is slim wand-like with an even end, designed to reach the corners of a square nail and to round off neatly near the nail bed. Its picks up the right amount of the liquid so you don’t have to bother about excessive product deposit. The paint goes sheer on first coat and completely opaque on the second. I have not worn a topcoat and you can still see the light reflected on my nails. It is one of those shades which will suit Indian skin tone well, hides flaws on the nail and gives you that polished look you need. These are my nails after 4 days. I have done a lot of work with water including swimming everyday, and yet, you see the paint chipping off only at the corners. Total value for money. You may also like reading: My First Ever Attempt at Halloween Nail Art! Its a lovely color wish they were made available here. dont we all wish for that !!! I want MUA in India… everytime I see their products I so so feel like ordering them.. I have some Fever Red polish from MUA.. it’s good for the price. Dipti, me too … if they offer free shipping im game .. its fantastic for the price !! The polish is so very pretty! 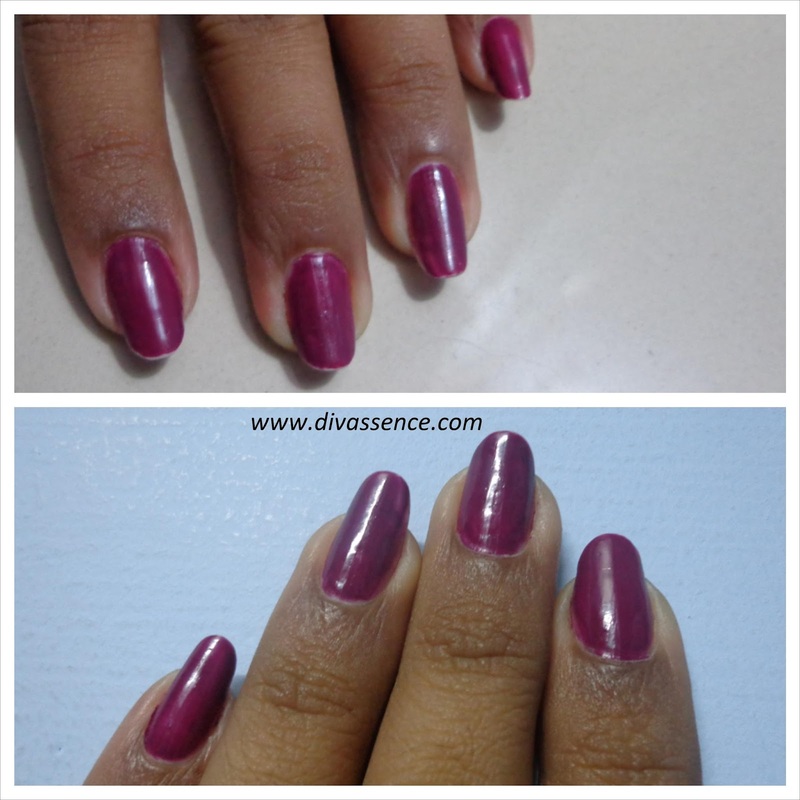 Lovely color…& The packaging is very similar to essie….